Seafood lovers rejoice! 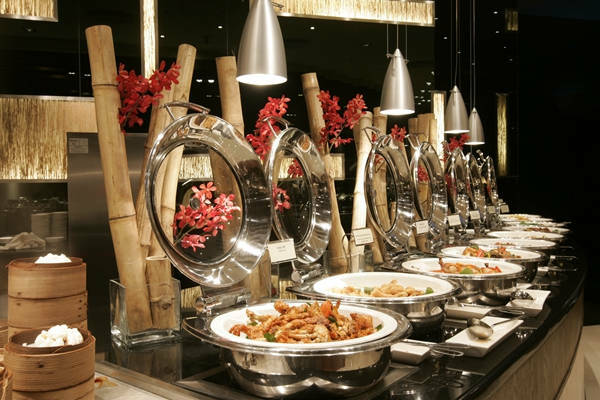 Bambu offers a wide assortment of fish, crab, shrimp, sushi, sashimi, as well as many other Asian delicacies. 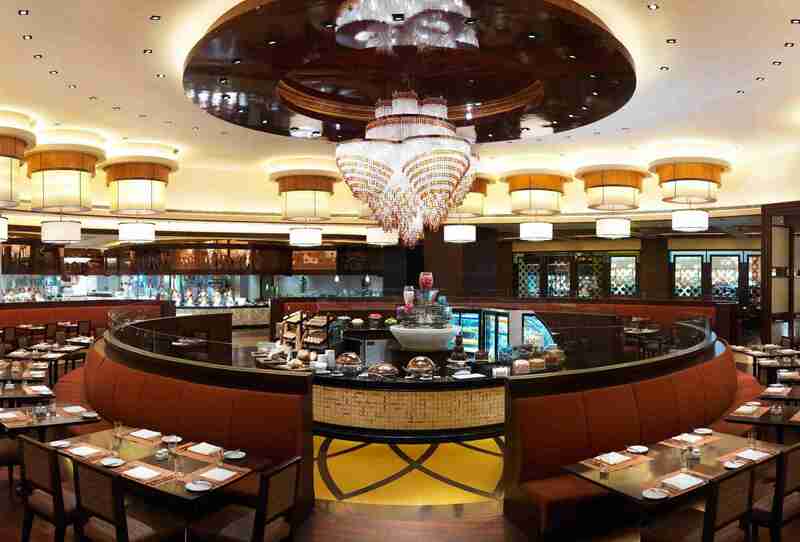 It’s no wonder that this is one of Cotai’s most popular buffets! Open 24 hours every day, Café Deco is a perfect choice for both early birds and night owls. 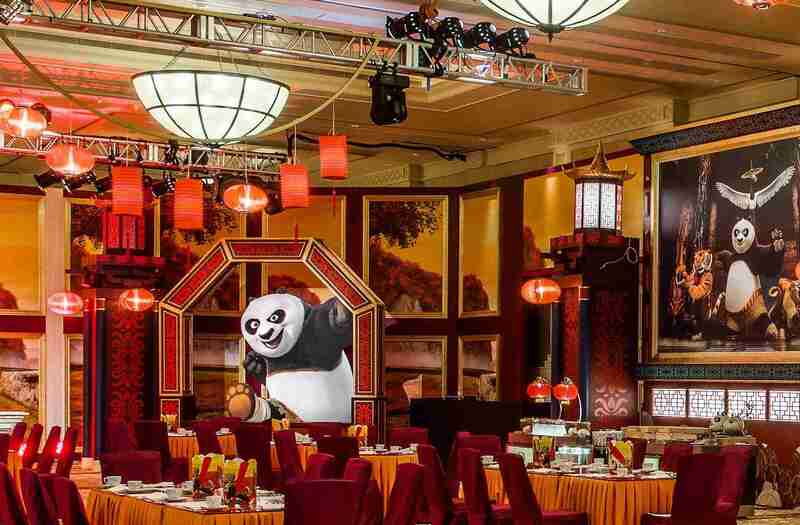 It features a variety of international foods, including pizza, sushi, noodles, and tandoori. 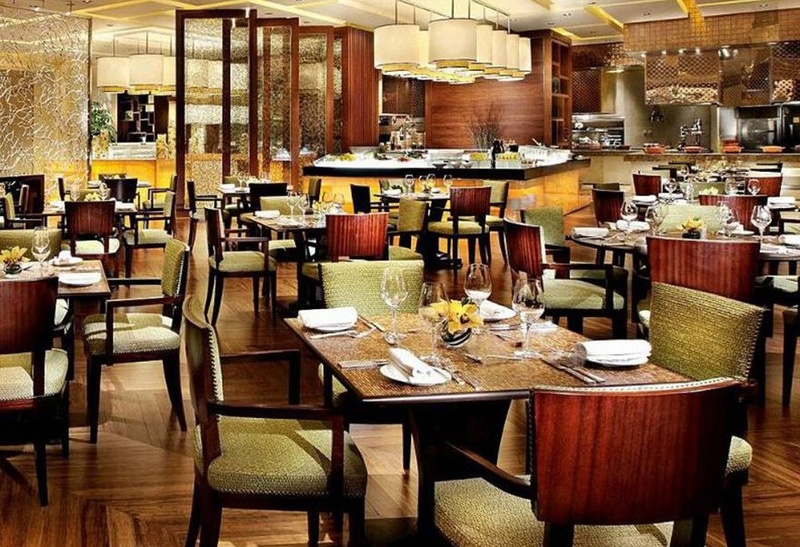 It’s not surprising that the only Michelin-starred Indian restaurant in the region has one of the best lunch buffets in Macau. 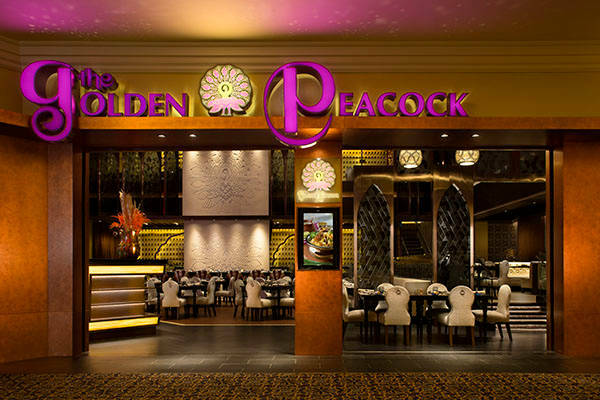 Offering a wide assortment of authentic vegetarian and non-vegetarian Indian cuisine, The Golden Peacock is a must-eat for food lovers! 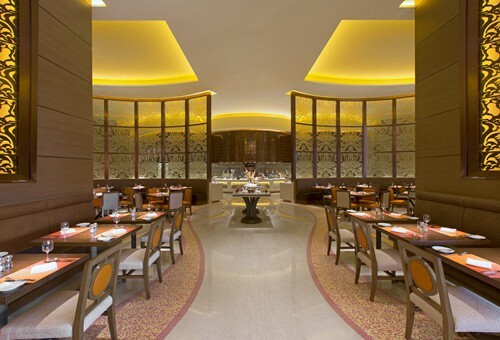 Make sure you pack your taste buds for a culinary voyage around the world at The Grand Orbit. Featuring exotic dishes from countries such as Brazil, India, Thailand, and Malaysia, you are sure to discover new flavors no matter what you try! Bursting with Asian delicacies, Portuguese cuisine, and Macanese dishes, Feast truly lives up to its name. Stop by on Friday and Saturday nights for all-you-can-eat lobster, crab, and raw oyster. 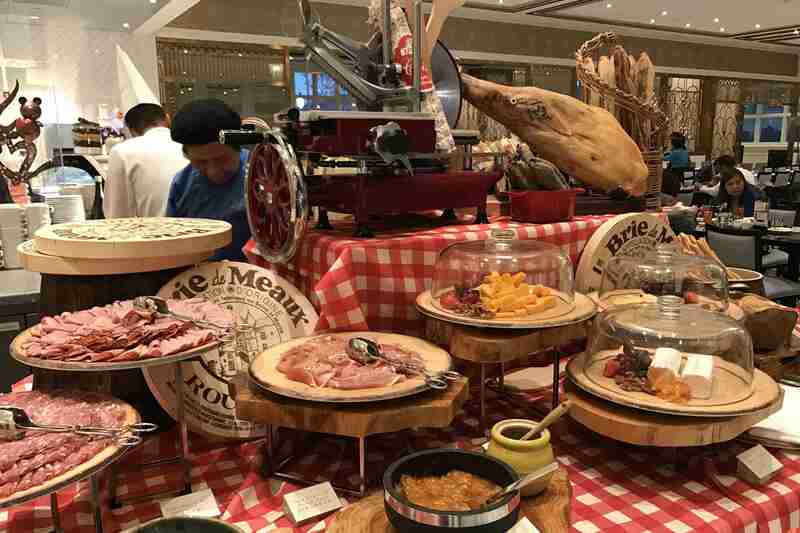 A focus on authentic European cuisine and casual French dining atmosphere helps Le Buffet stand out in city filled with Asian buffets. Several of the dishes and desserts offered cannot be found anywhere else in Macau. 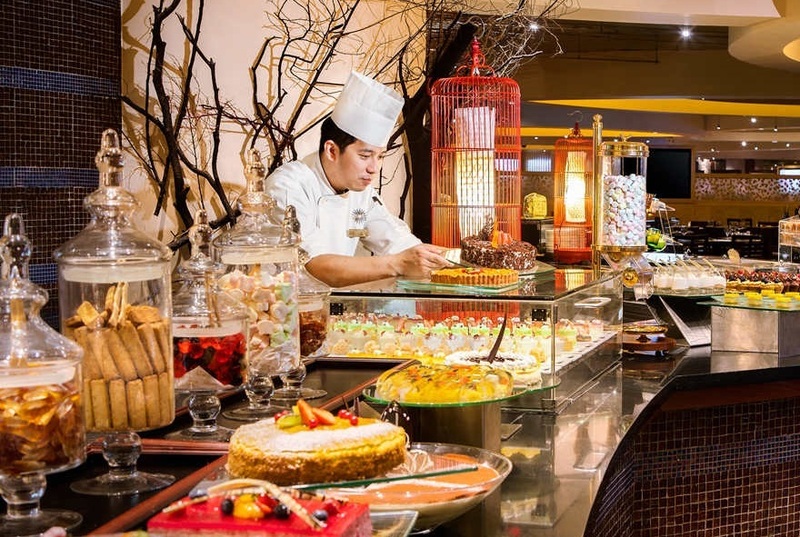 Located in Sands Macao, this is a classic Macau buffet featuring Asian, Portuguese, and Macanese cuisine. It also offers a bounty of fresh seafood dishes including oysters, crab, sushi, and sashimi. With its sophisticated dishes and stylish atmosphere, Belcanção is the perfect place to hold a classy business lunch or intimate family celebration. It serves a variety of international cuisine from Portugal, India, and Macau.